Every year he sends me a valentine. My heart leaps when I see his font on the envelope. I don’t remember exactly when he started sending them to me. Maybe when he had a wife of his own and understood better the demands of mothering and homemaking and how it can take a bit of a toll. Maybe when he moved to that far away zip code on the other side of the country. But for the last many years, they have come–each one bringing light and warmth to the February gray. I suppose it sounds a bit like a Hallmark commercial, but his cards are so much more than a letter in my mailbox. 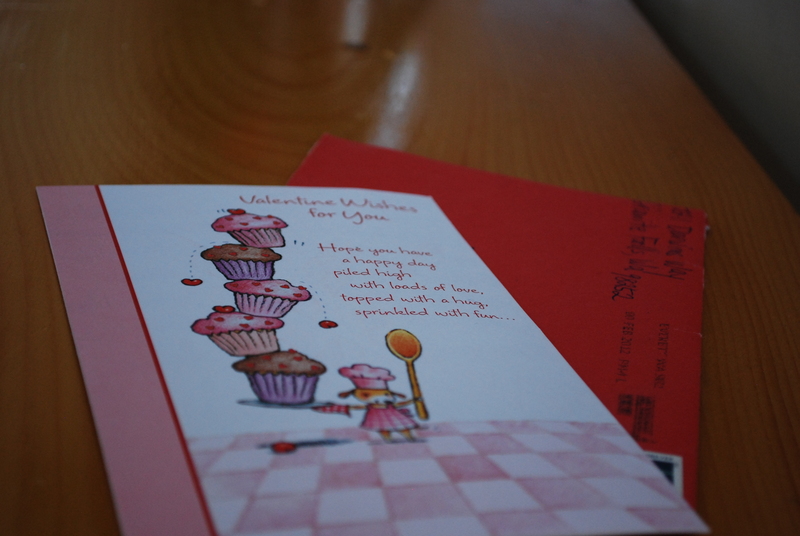 Each one brings back the memories of childhood, the two of us sitting at the kitchen table signing our school-kid valentines. Each one reminds me that he as there from the start . . . that he was the one I learned life with. And I remember him growing up: his guitar, his silhouette bent over the engine of a car, our cross country road trip on his way home from college. I tell my boys that they simply must send their sisters valentines, even when they are all grown up. Especially when they are all grown up. Because hidden in that envelope will be love enough for their hearts to hold until they are together again. Awwww! Reading your post makes me want to hit up my brothers for Valentine’s cards–actually any cards, but I know that’s not their style. I do believe in the power of a card sent. It speaks of love. It says “You are special enough for me to think of today–and to take the time to do something about it.” I am purposing to send that sentiment often this year. Thanks for the sweet read, Julie. It does my heart good to see the love you and Steve share! Oh, what a treasured blessing for me, the mom — my eyes are misty.